A lot of our top music stars are from average homes who made something of themselves with their talent, hard work, started from the bottom with nothing and are today, rich and famous. 2. Naeto C: Naeto C could have chosen to be an executive director in one of his multi-millionaire parents’ companies, but instead he chose to pursue his own dreams. Naeto C is the son of former Aviation Minister and former Ambassador to Ireland, Mrs Kema Chikwe. His father is a wealthy businessman. 5. Tillaman: Singer Tillaman’s real name is Adeyemi Adetona. Sound familiar? Well, that’s because his father is his HRH, Oba Lamidi Olayiwola Adeyemi III, the Alafin of Oyo State. 6. 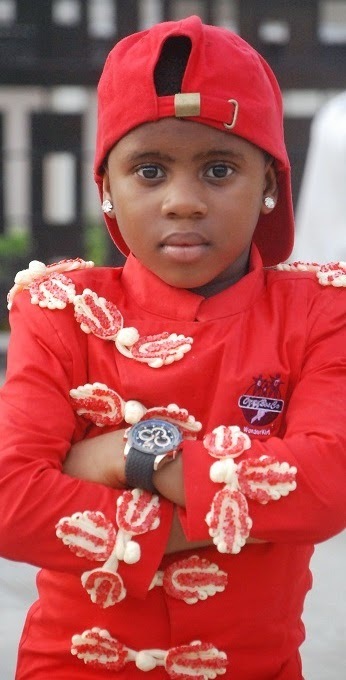 Ozzybosco: The young music sensation, who is only 7 or 8 years old, has collaborated with MI, Flavour and a few other A-listers and you wonder how he can afford to do that? Well, it’s because his parents are wealthy. His mother, Elizabeth Nonye Mojekwe, is an international business woman with various companies. 7. Waliyah: She recently burst into the entertainment scene but her family name has been around for decades. She doesn’t necessarily like to tell people this except you already know, but the singer is one of the daughters of late MKO Abiola.